Cold temperatures won't stop Long Islanders from having a great time this month! 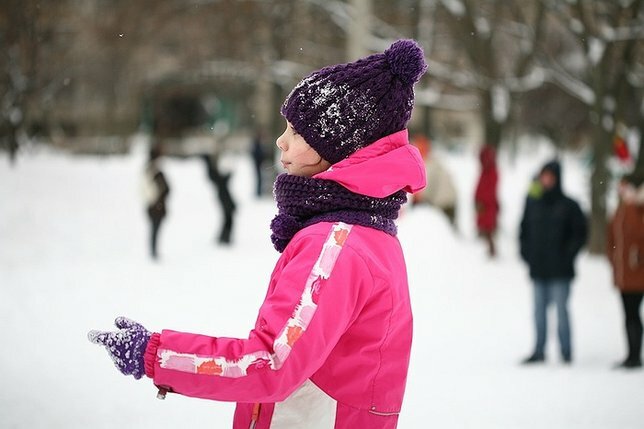 The arrival of winter may mean some bone-chilling weather here on Long Island, though with a packed events calendar, staying warm certainly won't be a challenge. For those looking to enjoy an afternoon with friends and family, there are a number of Festivals and Fairs this month that have entertainment for all ages. Nearby craft fairs also serve as a great way to finish up that holiday shopping list while supporting local businesses! Hanukkah kicks off the holiday season this month on December 2nd, ensuring that there are plenty of Menorah Lightings to attend early this month. Christmas Tree Lightings are also planned for all across Long Island, giving Long Islanders the opportunity to share the holiday cheer with member of the community. Even with all of these events to consider, lightings are only the beginning of the holiday entertainment! Plenty of Holiday Parades, Light Shows, and Theater Performances means that there won't be a shortage of festive activities this December! All of this holiday fun will take Long Islanders to the end of December, where there will be a number of New Year's Eve events to help ring in 2019. Clearly, there is no time to waste if all of the great events this month are to be enjoyed! Craft fairs for last-minute shopping and holiday destinations for enjoying the spirit of the season are among the events that will keep Long Islanders warm this December. Needless to say, there will be no shortage of family events to spend the year's most bone-chilling days! Stony Brook Village's 39th Annual Holiday Festival - FREE! 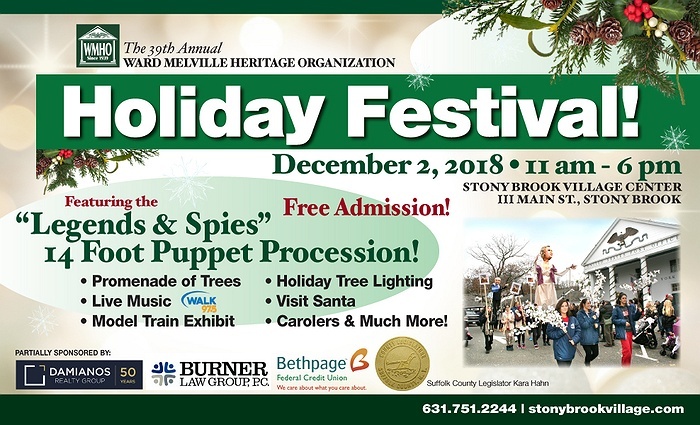 Between the "Legends & Spies" puppet parade, holiday tree lighting, Santa visit, carolers, and model train exhibit, there will be plenty to enjoy at this year's Holiday Festival in Stony Brook. Not only will children be able to meet Santa and have their faces painted, but a fantastic brunch with all of holiday trimmings will be served during this special family event. 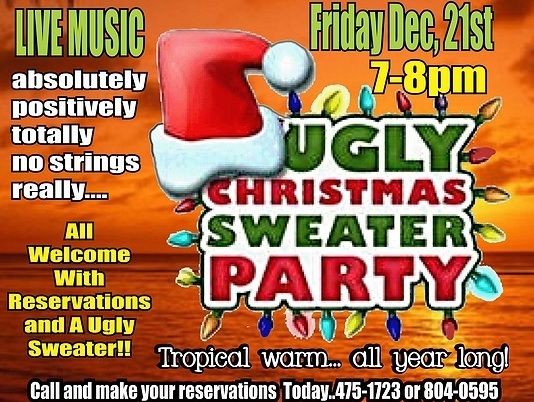 Ugly Christmas Sweater Party Free Happy Hour at Off Key Tikki - FREE! Joe Registrato from Reggie Tunes Entertainment and Studio G band will provide the soundtrack to an Ugly Christmas Sweater Party with plenty of fun for all. Hosting a holiday party for a small group that maintains the excitement of a large party couldn't be easier this holiday season thanks to Windows on the Lake. Each night includes a gourmet dinner buffet, dessert, hors d'ourves, and DJ entertainment. Kids will not want to miss an afternoon of face painting at McDonald's in Melville! Participants will be able to express their creativity through fantastic styles and colors! McDonald's in Melville, which has recently received a full contemporary update, will be hosting a a very special performance by Cano the Clown for kids of all ages to enjoy! 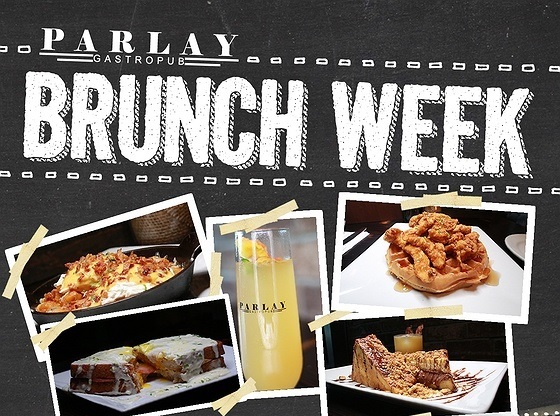 Parlay Gastropub in Rockville Centre will be celebrating the end of 2018 with Brunch Week, which will feature countless delectable dishes for families to enjoy! Rocky Point PTA's Annual Holiday Boutique at Rocky Point Middle School - FREE! Not only will Rocky Point PTA's Holiday Boutique have unique items for purchase, but there will also be teachers to wrap them and delicious cookies to enjoy while shopping. 8th Annual Wooden Wonderland at Suffolk County Historical Society - FREE! All kinds of wooden items, including ornaments and home decor, will be offered by local artisans and vendors. Sag Harbor's Holiday Village - FREE! Between a visit from Santa Claus, holiday music, and the lighting of the town Christmas tree at Long Wharf, Sag Harbor's Holiday Village promises entertainment for all ages. 23rd Annual Charles Dickens Festival at Port Jefferson Village - FREE! Port Jefferson will be turned into a town out of a Charles Dickens novel thanks to beloved characters and a number of seasonal attractions. St. James-Smithtown Craft Fair at Smithtown High School East - FREE! 100 exhibitors will gather at Smithtown High School East for a craft fair packed with decorations, chocolates, and more. Stop by Long Beach Historical Society this December to get your holiday shopping done while helping to support local vendors. Holiday Craft Fair at VFW Post 4927 Auxiliary - FREE! 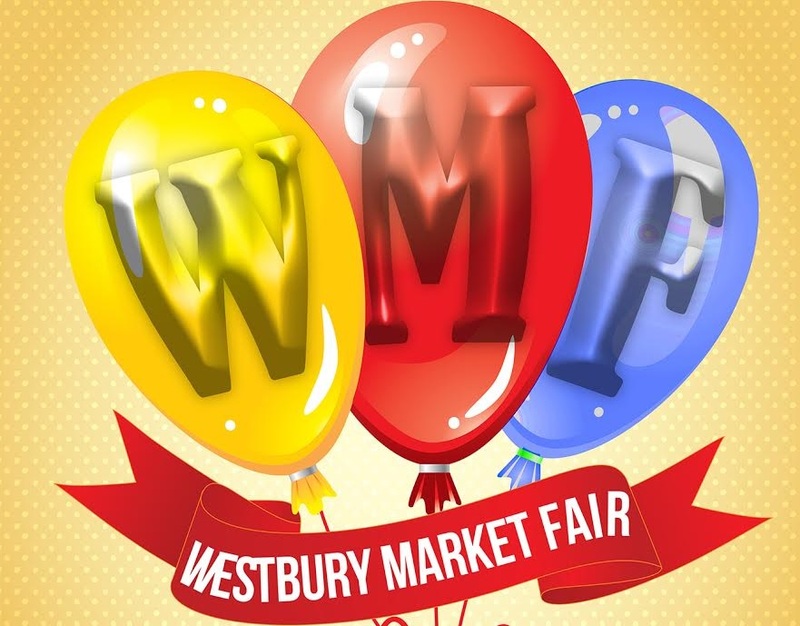 Tons of vendors will be hosted at VFW Post 4927 Auxiliary for a craft fair with items for all ages. Holiday Vendor Fair & Saver's Fundraiser at Patchogue-Medford High School - FREE! With proceeds benefiting the PMHS Robotics Team, this holiday fair is a great opportunity to pick up some unique gifts while supporting a local group. Oyster Bay Holiday Market - FREE! Support local businesses from Oyster Bay and East Norwich while finding the perfect gifts for every name on your list. Craft Fair at Northport High School - FREE! More than 200 vendors ensures that this craft fair at Northport High School will be packed full of great deals on one-of-a-kind items. Coe Hall at Planting Fields Arboretum will be decorated for the holiday season during this two-weekend Holiday Festival. Children will be able to meet Santa and partake in face painting activities. Freeport Craft Fair at South Nassau Unitarian Universalist Congregation - FREE! Visit Unitarian Universalist Congregation in Freeport for a craft fair that will also feature a face painting station and hourly raffles. Bay Shore's Light The Night - FREE! The Bay Shore-Brightwaters community will be shining with the lights of the season during this beloved seasonal event. Selden Craft and Gift Extravaganza at Newfield High School - FREE! Peruse the selections of more than 200 exhibitors at this enormous craft fair at Newfield High School in Selden. The Last-Minute Holiday Bazaar at Guild Hall - FREE! There might only be a few days left before Christmas, but Guild Hall's Last-Minute Holiday Bazaar will make sure you find the perfect gifts for everyone left on your list. At town squares across Suffolk and Nassau, towering trees are waiting to be lit for Christmas! Gather your family members and friends and make plans to enjoy hot chocolate and holiday songs at one of these upcoming Christmas Tree Lighting ceremonies! Port Washington's 21st Annual Christmas Tree Lighting at Blumenfeld Park - FREE! A staple of the holiday season for more than two decades, Port Washington's Christmas Tree Lighting is a family event with fun for all ages. Bellmore's Christmas Tree Lighting & Holiday Extravaganza - FREE! The holiday festivities will include a Christmas Tree lighting, Santa visit, holiday music, horse and carriage rides (small fee), trolley rides (small fee), and more. East Hampton Village's Christmas Tree Lighting Ceremony at The Maidstone - FREE! Enjoy live music, hot refreshments, and the spectacular lighting of East Hampton Village's Christmas Tree at this annual ceremony. Tree Lighting and Family Festival at THE LIFE Lutheran Church - FREE! Beginning with treats, raffles, and holiday music, THE LIFE Lutheran Church's seasonal event will be centered around the lighting of a 75-foot Christmas tree. Belmont Lake State Park's Holiday Tree Lighting Ceremony - FREE! The young and young at heart alike will be thrilled by Belmont Lake State Park's winter wonderland and tree lighting ceremony. St. James' Christmas Tree Lighting at Deepwells Farm Historic Park - FREE! Enjoy holiday music and a tree lighting with Santa at Deepwells Farm in St. James. Kings Park's Christmas Tree Lighting Ceremony at Kings Park Library - FREE! Head over to Veterans Plaza in Kings Park at 4:30 PM on December 1st for this year's Christmas Tree Lighting Ceremony. Seaford Historical Society's Open House & Tree Lighting - FREE! The Seaford Historical Society will be hosting an evening of entertainment and a tree lighting with Santa Claus. Islip's Holiday Parade & Tree Lighting Ceremony - FREE! With the parade beginning at Ocean Avenue and concluding at Town Hall with a tree lighting ceremony, The Islip Chamber of Commerce's holiday celebration will be perfect for all ages. Enjoy hot chocolate, tea, and cookies while watching the lighting of the Cold Spring Harbor Fish Hatchery & Aquarium's tree. Bellport Village's Tree Lighting Ceremony - FREE! The Bellport Chamber of Commerce welcomes families to attend the annual lighting of the village's tree. Massapequa's Christmas Tree and Menorah Lighting at Klestinec Park - FREE! Join members of the community in celebrating the holiday season with special Christmas tree and menorah lightings at Klestinec Park in Massapequa. Tree Lighting With Santa at Port Jefferson Train Car - FREE! Don't miss this annual event featuring the tree lighting ceremony, live music, hot chocolate, and cookies. Ronkonkoma's Christmas Tree Lighting at Raynor Beach County Park - FREE! Families and invited to attend Ronkonkoma's Christmas Tree Lighting at Raynor Beach County Park. Nesconset's Holiday Lighting Christmas Tree and Menorah Lighting - FREE! Nesconset's Holiday Lighting Christmas Tree and Menorah Lighting will be held at Gazebo Park. Hampton Bays Fire Department's Christmas Tree Lighting - FREE! Bring the family to the Hampton Bays Fire Department for the annual tree lighting ceremony and visit from Santa. Holiday Tree Lighting at the Shoppes at East Wind - FREE! The Shoppes at East Wind will be celebrating the holiday season with dancing, firetrucks, and an appearance by Santa Claus. 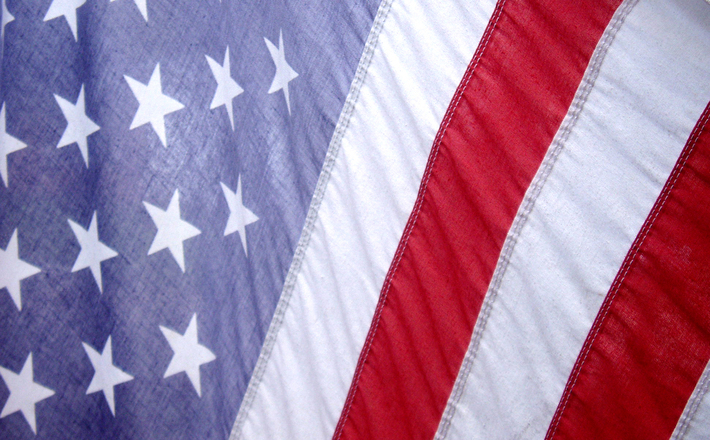 Holiday Tree Lighting at Levittown Veterans Memorial Park - FREE! Levittown Chamber of Commerce's Holiday Tree Lighting will feature local schools performing arts and dance studios, as well as a special visit by Santa. Bayard Cutting Arboretum's 22nd Annual Holiday Tree Lighting Ceremony - FREE! With the lighting of the tree and hot beverages, Bayard Cutting Arboretum's tree lighting event is sure to be a great evening out with the family. Attendees are asked to bring an unwrapped toy or canned goods for those in need. Planting Fields Arboretum's Tree Lighting & Santa Visit - FREE! Planting Fields Arboretum will be celebrating the holiday season with a tree lighting ceremony, a visit from Santa, live music, and gorgeous decorations at Coe Hall. Orient Beach State Park's Holiday Tree Lighting Ceremony - FREE! Orient Beach State Park will host its 32nd Annual Holiday Tree Lighting Ceremony on Friday, December 7th. Santa will be available for pictures and cookies and hot chocolate will be served. 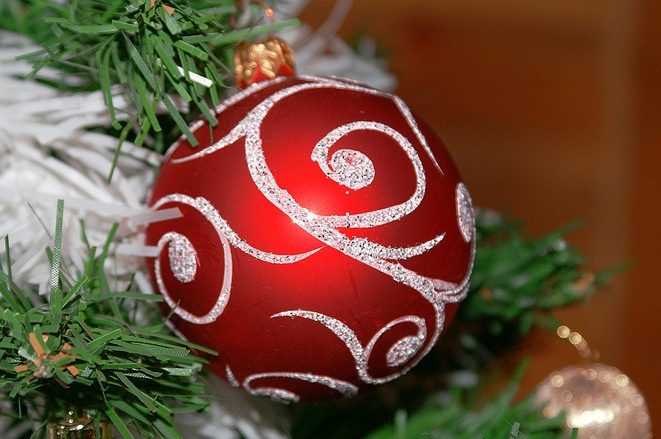 Moriches' Tree Lighting Ceremony at Center Square Shopping Center - FREE! 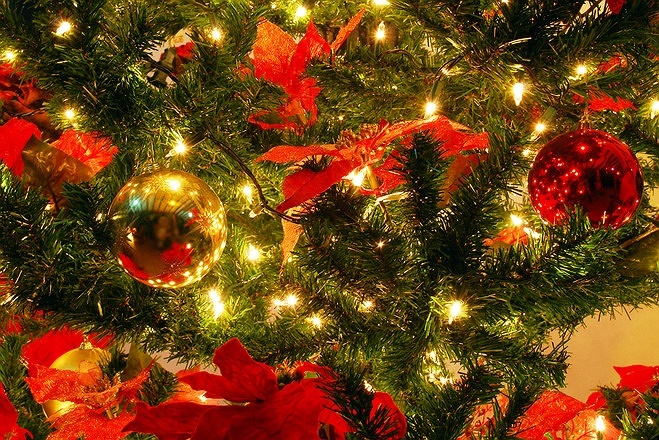 The Chamber of Commerce of the Moriches has announced that this year's Tree Lighting Ceremony will be held in the Center Square Shopping Center. As Hanukkah falls between December 2nd and December 10th this year, local organizations will be celebrating the holiday with public Menorah Lighting ceremonies. Here are some of the lighting events that families won't want to miss! Menorahcade and Giant Menorah Lighting Ceremony at Herrick Park - FREE! Beginning at 3:30 PM with a parade from Chabad of the Hamptons, the fun will continue with a menorah lighting ceremony at Herrick Park at 4 PM. Long Beach's Menorah Lighting at Kennedy Plaza - FREE! Beginning on Sunday, December 2nd, the menorah at Kennedy Plaza will be lit each night during Chanukah. The December 2nd ceremony will feature performances by Sholom Jacobs & Son Duo, as well as tasty treats and coffee. Ronkonkoma's Menorah Lighting Ceremony - FREE! 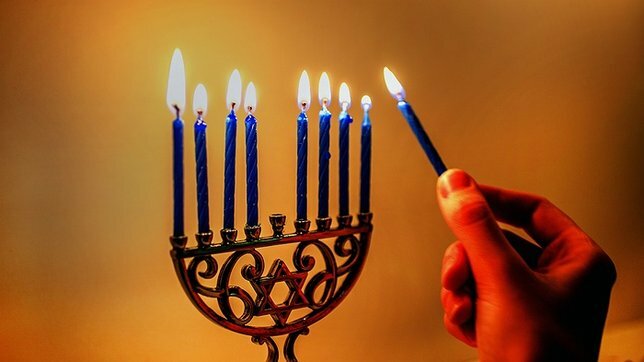 The Ronkonkoma Chamber of Commerce, along with Temple B'nai Israel's Rabbi Steven Moss, will be at Raynor Beach County Park for the lighting of the town's menorah. Kings Park's Menorah Lighting Ceremony - FREE! Head over to Veterans Plaza in Kings Park at 11 AM on December 2nd for this year's Menorah Lighting Ceremony. 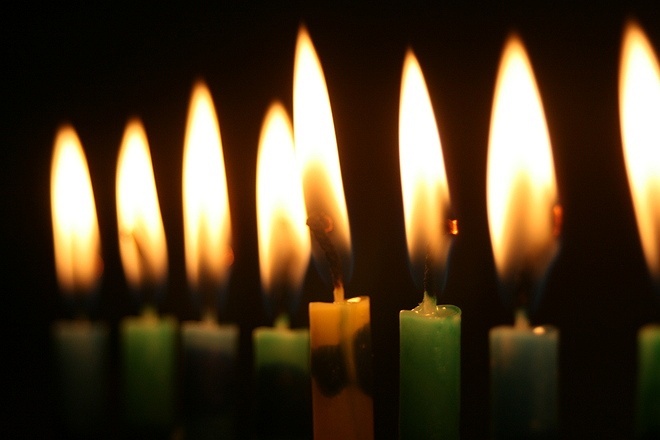 Sayville's Hanukkah Menorah Lighting - FREE! The Greater Sayville Chamber of Commerce will hold a public ceremony to light its menorah at dusk on Sunday, December 2nd. St. James' Menorah Lighting Ceremony at The Triangle - FREE! The Triangle at Lake Avenue and Moriches Road will be the place for the lighting of the St. James Menorah on each night of Chanukah. The length of the average day may be the shortest in December, but there's a reason why the holiday season is called the “season of light!” From energetic parades to stunning light shows, Long Island will be lit up with thousands upon thousands of lights for the holidays! 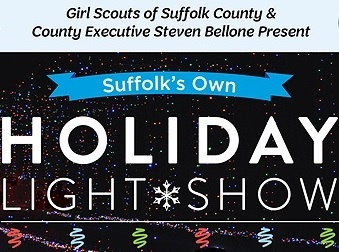 The Girl Scouts of Suffolk County and County Executive Steve Bellone have joined together to present the Girl Scouts' beloved light show for the fifteenth holiday season. This beloved holiday tradition on Long Island features plenty of incredible lights that are set up to help raise funds for local programs. 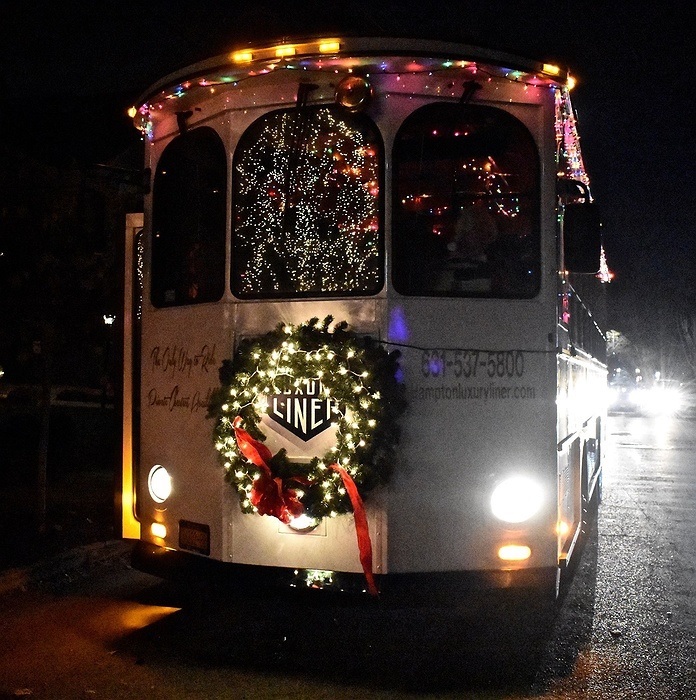 Enjoy the beautiful sights and sounds of the season on M&V Limousines' Christmas Express Holiday Trolley. Riders will be taken through the streets of New York City for an evening of Christmas carols and delicious treats. Rides are offered at both 4 PM and 9 PM each day. East Hampton Santa Parade - FREE! Hosted by the East Hampton Chamber of Commerce, this exciting holiday parade begins at 10 AM on Main Street and finished at Newtown Lane. Santa Claus himself will be at the parade's finish point for pictures. Magic of Lights returns to Jones Beach for weeks of festive fun on Long Island's South Shore. The event consists of light displays spread across more than a mile of drive-thru paths. The East End has received a drive-thru holiday light show of its own thanks to this year's show at Long Island Sports Park. 6th Annual Long Beach Electric Light Parade - FREE! The City of Long Beach and the Long Beach Chamber of Commerce are proud to present the 6th Annual Electric Light Parade. Plenty of festive vehicles will make their way from Ohio Avenue to New York Avenue, where families will celebrate with various activities and restaurant specials. Before making his way down the chimneys of Long Island homes, Santa Claus will be sitting down with local children for delicious brunches! These brunches will feature delicious dishes and treats that kids will love, and the adults will certainly enjoy the champagne and mimosas! 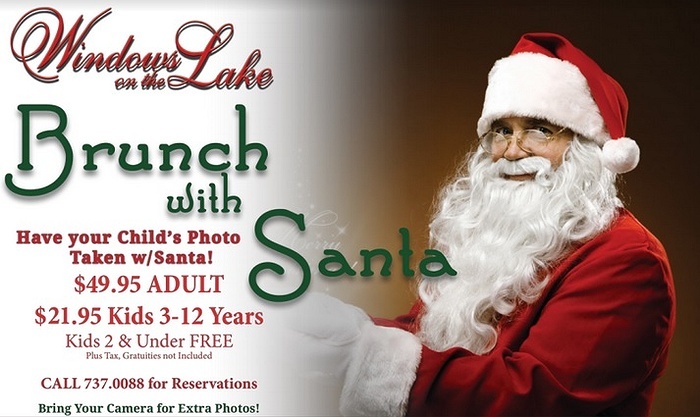 Children will be able to tell Santa all about their Christmas wishes during a special brunch at Windows On The Lake in Lake Ronkonkoma. Delicious favorites will be served at a number of dining stations, including omelet and carving stations. Kicking off a number of exciting events as part of its Grand Re-Opening Celebration, McDonald's in Melville invite families to enjoy Brunch with Santa and get a personalized photo to savor! After enjoying a delectable brunch, families will have the opportunity to visit the freshwater and saltwater exhibits with the included aquarium admission. Every Sunday in December leading up to Christmas, Hotel Indigo in Riverhead invites families for a fun-filled brunch that will be attended by Santa Claus himself. Hop aboard Sapphire Yacht Charters for a bay cruise with a delicious brunch, DJ entertainment, and meet-and-greet with Santa. Featuring mouth-watering brunch and children's buffets, as well as a chef's dessert table, Mirabelle Tavern at the Three Village Inn's Santa Brunch is a great opportunity to enjoy quality time with family. Santa Claus will be at Desmond's in Wading River to greet children while families enjoy omelets, desserts, and freshly-carved meats. From the Southwestern burrito bowl to steak pasta, plenty of delicious entrees will be offered during the Post Office Cafe's Santa Brunch. Whether you're looking forward to the Thai Calimari, Max breakfast skillet, or loaded breakfast burrito, all stomachs will certainly be pleased by Maxwell's brunch. With buttermilk pancakes, Texas-style French toast, scrambled eggs, and unlimited champagne and mimosas for the adults, a fantastic holiday brunch at the Library Cafe awaits. Head over to Southside in Bay Shore for a memorable family brunch with Santa Claus on Sunday, December 16th. Families will be able to share a memorable brunch at Smithtown and get the opportunity to meet Santa. 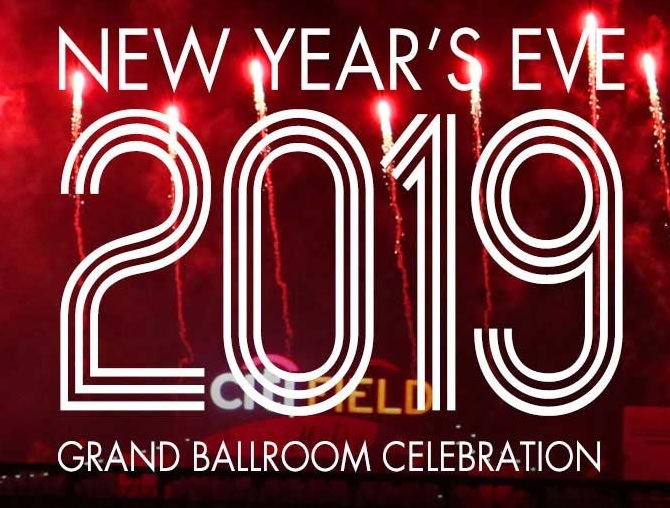 Bid farewell to 2018 and celebrate the arrival of 2019 with one of the many New Year's Eve celebrations happening at Long Island venues! Whether you select a formal dinner or a nightlife party packed with energy, a memorable time is sure to be had this December 31st! The stunning Terrace on the Park will be hosting a New Year's Eve celebration inside its Grand Ballroom. 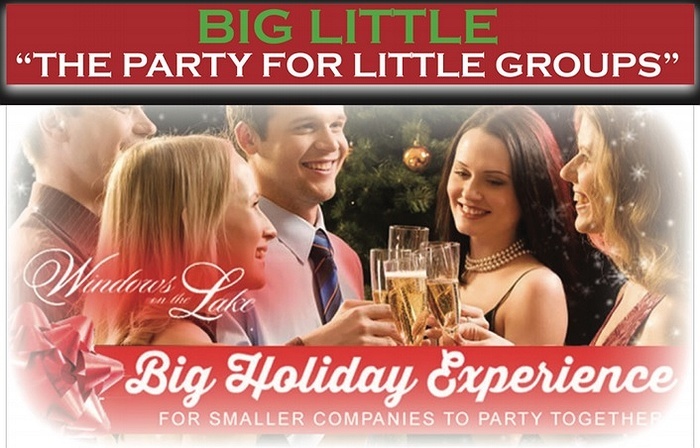 In addition to live music by Bravo Sound and a simulcast of the Times Square ball drop, attendees will enjoy a cocktail hour, dinner, and premium open bar. 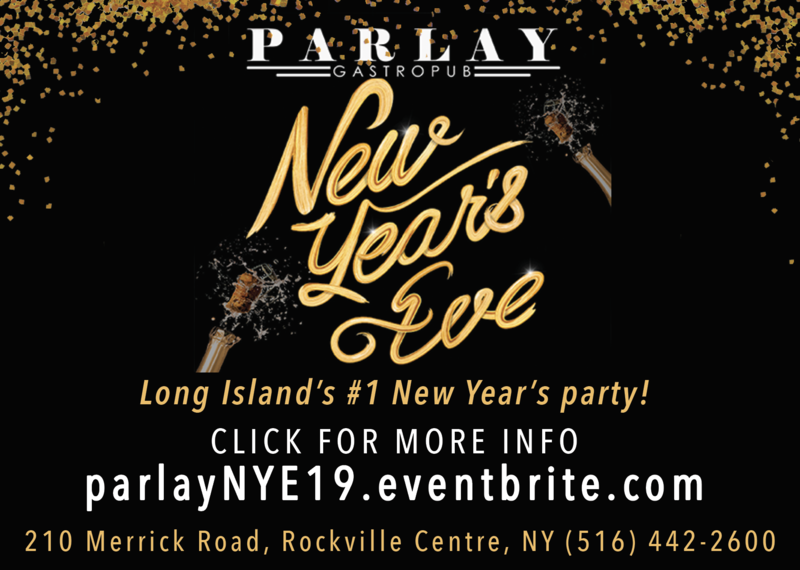 Ring in the New Year at Parlay Gastropub in Rockville Centre with an open bar, mouthwatering buffet, DJ entertainment, and a champagne toast at midnight. VIP table packages are also available. Whether you opt for the Tequila Dinner Pairing, Premium Dinner and Open Bar Package, or General Admission to the festivities, New Year's Eve as Mesita promises lively entertainment and plenty of expertly-crafted drinks. A premium open bar and phenomenal selection of expertly-cooked dishes will be at the center of The Crescent Beach Club's New Year's Eve Masquerade. Attendees will also enjoy a live feed from Times Square, desserts, champagne toast, and more. Children and adults alike will enjoy this New Year's Eve event at the Long Island Aquarium. The evening will feature a buffet dinner, DJ and dancing, aquarium exhibits, and cash bar. A special a la carte menu will be offered at Sandbar in Cold Spring Harbor in honor of the arrival of 2019. Diners will enjoy dishes like roaster duck breast, NY strip steak, and roasted salmon. Delectable appetizers, entrees, and desserts will be available during this special prix fixe New Year's dinner in Stony Brook. Laugh your way to midnight with six hilarious comics at the Smithtown Center for the Performing Arts. An open bar, DJ entertainment, late-night bagel bar, and champagne toast at midnight will all be included at Maxwell's holiday celebration. Southside Bar and Restaurant will be offering an open bar, champagne toast, and party favors to attendees during their New Year's Eve event. Expertly-crafted drinks and hot/cold buffets will help to make Library Cafe's New Year's celebration a great time for Long Islanders. DJ entertainment, breakfast buffet, open bar, and a champagne toast awaits attendees to this year's New Year's celebration at the Post Office Cafe. Billy Joel will be helping Long Islanders ring in the new year during a special show at NYCB LIVE. Long Island's own Piano Man will have fans dancing in the aisles before 2019 arrives! The Back to the Eighties Show has become a staple of weekend entertainment across the country, and with the special New Year's Eve show at The Paramount, the party is expected to be bigger than ever. Radio stations may seem to play nothing but holiday music during December, but there will be a tremendous amount of variety being performed at local music venues. Regardless of whether you're looking to catch a jazz ensemble or a hard rock band, Long Island will be hosting plenty of internationally-recognized and yet-to-be-discovered bands this month. LHT and comedians Arch Schill and Chris Williamson will perform at this special fundraising event for the 9/11 Memorial Project. Butterfields in Patchogue will have Popparazzi performing to help Long Islanders rock into the weekend. Landmark on Main Street in Port Washington will be presenting a special performance by Loudon Wainwright III, Suzzy Roche, and Lucy Wainwright Roche. 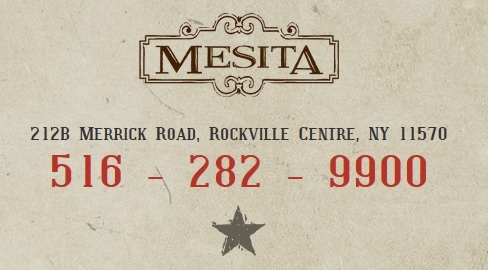 Enjoy a night of live entertainment at the Long Island venue. Steve Vai, Zakk Wylde, Yngwie Malmsteem, Nuno Bettencourt, and Tosin Basi will take guitar lovers on a musical odyssey through well-known favorites and rare gems. The Beach Boys will be heading to The Paramount in Huntington for an evening of summer favorites and holiday classics. Trans - Siberian Orchestra will be bringing its acclaimed show, The Ghosts of Christmas Eve, to NYCB LIVE right in time for the holidays. David Glukh at Landmark on Main Street - FREE! Landmark on Main Street in Port Washington will be presenting a special performance by David Glukh. Enjoy an afternoon of live entertainment at the Long Island venue. Heartbreaker, 1 Wild Night, and Rock of Ages will be performing at 89 North in Patchogue for an unmissable night of great music. Bret Michaels, lead singer of Poison, will entertain Long Islanders with fan-favorites from both Poison and his solo career. Historic homes throughout local towns will be have their doors opened this month to help share the holiday cheer. As such, members of the community will be able to embark on Holiday House Tours to enjoy these fantastic homes, which will be fully decked out with holiday decorations. 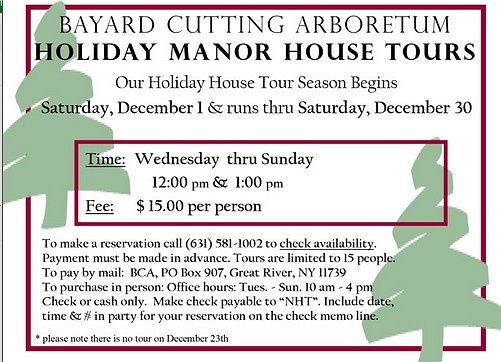 Celebrate the holiday season at Bayard Cutting Arboretum with a festive tour around the decorated Manor House. Tours are held five days a week throughout the month of December. There's nothing quite like experiencing the magic of the holiday season during the annual Cutchogue Holiday House Tour. Self-guided tours will take participants through incredible homes while enjoying exquisite local wines and holiday desserts. 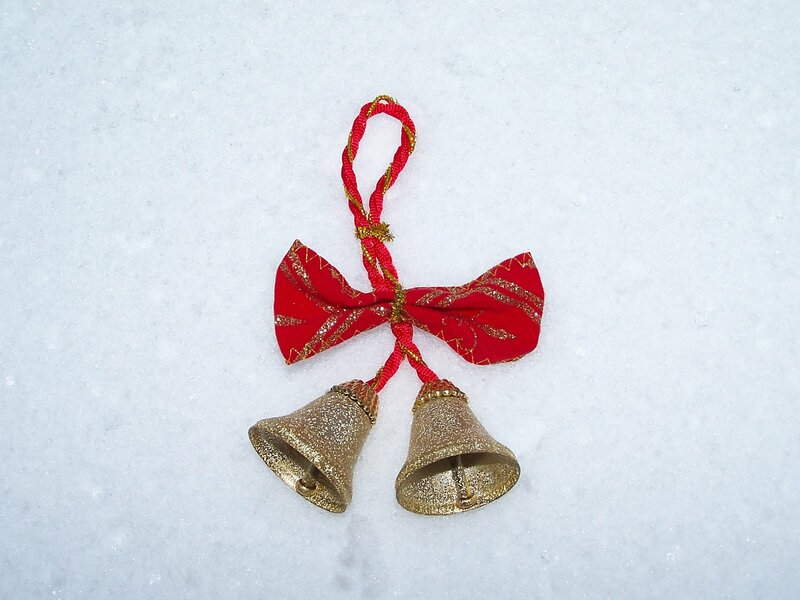 Local homes will be on display during this holiday tour around Setauket. Breakfast will be served prior to the start of the tour. The Main House of the South Side Sportsmen's Club will be decorated with a number of holiday-themed trees. Those participating in this year's Holiday House Tour around Islip will enjoy stunning local homes decked out for the holiday season. Unwrapped toys will be collected for Toys for Tots, so be sure to help spread the joy! This White House tradition, which includes countless eye-catching decorations, will be presented by Sagtikos Manor on December 8th and 9th. Tours are held every 15 minutes. East Hampton Village's Annual Tour of Historic Inns and Places - FREE! The East Hampton Chamber of Commerce's self-guided tour kicks off at The Huntting Inn and takes participants to many of East Hampton's most renowned destinations. Oysterponds Historical Society will be hosting a special tour of beautifully decorated homes throughout Orient and East Marion. Participants of this year's Candlelight House Tour will take a trolley through the Red Brick Street District and visit homes decorated for the holiday season. 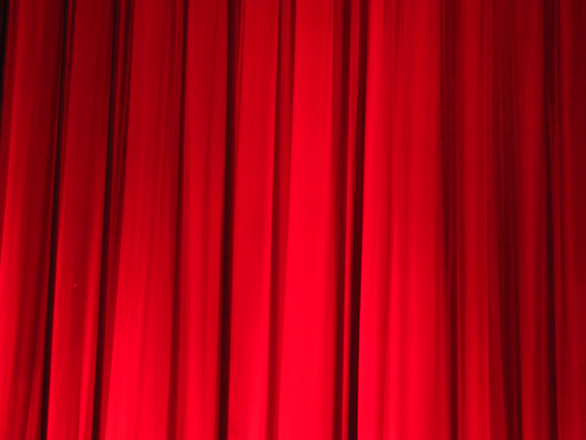 Celebrate the magic of the holiday season with a memorable live performance at one of Long Island's theaters. From classics like The Nutcracker, to original works that are destined to become future holiday traditions, children and adults alike will be able to revel in expertly-staged productions. Children will be able to go on a magical journey with Mittens as he learns all about what really matters about the spirit of the Christmas. This absolutely mesmerizing holiday show will dazzle audiences with incredible visuals, stunning performances, and live musicians. A Reading of A Christmas Carol at Cathedral of the Incarnation - FREE! Charles Dickens' iconic story will be brought to life in a way that would have made it a smash hit on the radio in the first half of the 20th century. This special performance by Desert Highway, the acclaimed Eagles tribute, will include plenty of musical surprises. American Dance Theatre of Long Island has been presenting The Nutcracker for almost two decades, which will be more than evident at the pair of these expertly-staged shows at Suffolk County Community College. Returning for its 37th season, Ohman's New York Dance Theatre's The Nutcracker is a memorable staging of the iconic show with incredibly talented performers. Celebrate the holiday season at Molloy College in Rockville Centre with this engaging show filled with beloved tunes and new favorites. The Eglevsky Ballet will perform The Nutcracker at Tilles Center for the Performing Arts at LIU Post. 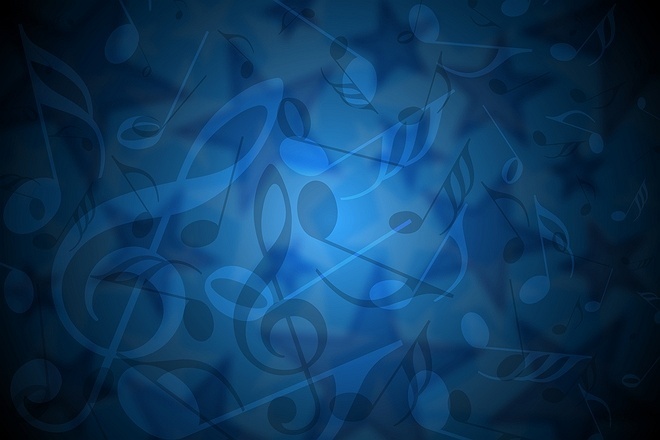 Enjoy a night of live entertainment in Brookville. What Activities Are You Most Looking Forward To This December? If I had a witty title - Would it make you more interested? DIY Gift Baskets - Make Your Own Amazing Holiday Gift Baskets at Home for Half the Cost! Subject: LongIsland.com - Your Name sent you Article details of "LongIsland.com's December 2018 Family Fun Guide: Holiday Lightings & Light Shows, Winter Festivals, New Year's Entertainment & More!"